This fixation goes back a few years....every time I visit this site and would see people post about Lange's, the abbreviation ALS struck me. 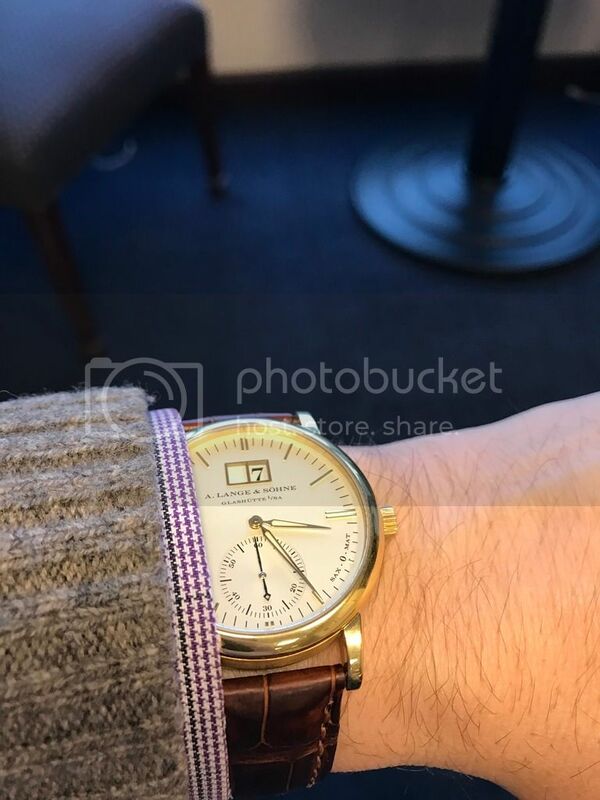 My grandfather, who was one of my best friends, died of ALS 5 years ago and each time I would see this acronym referenced to a watch, it would make me sentimental. So, this planted the seed. In my mind, it is a way to remember him in a personal way. So, with that backdrop, below is a pic of my newly acquired Langematik. Thanks for sticking it out this far.